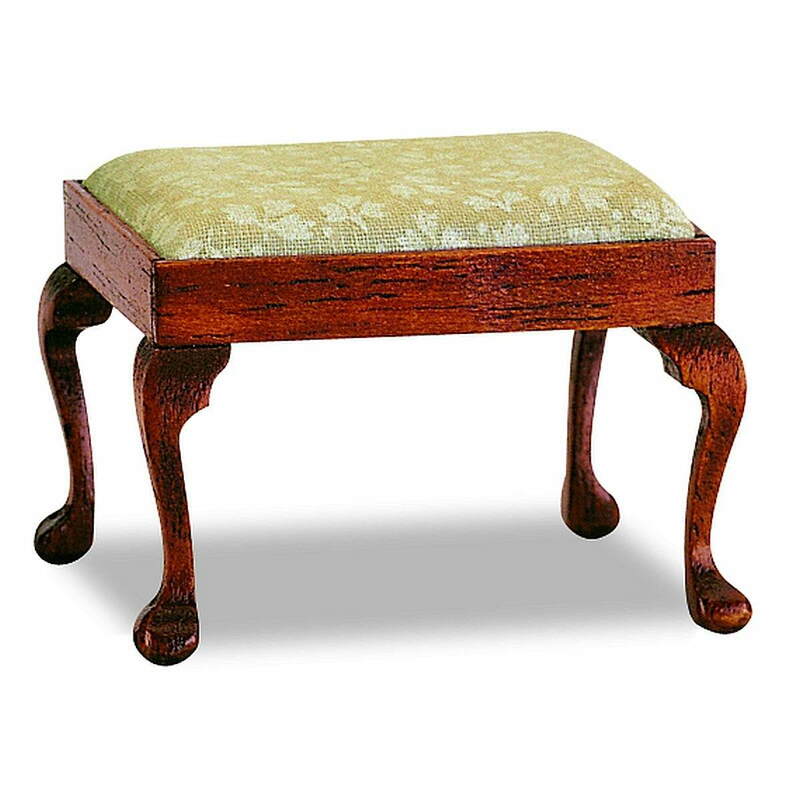 The upholstery is included in the natural wood furnitur kit. 9 x 5 x 4 cm (HxWxD). 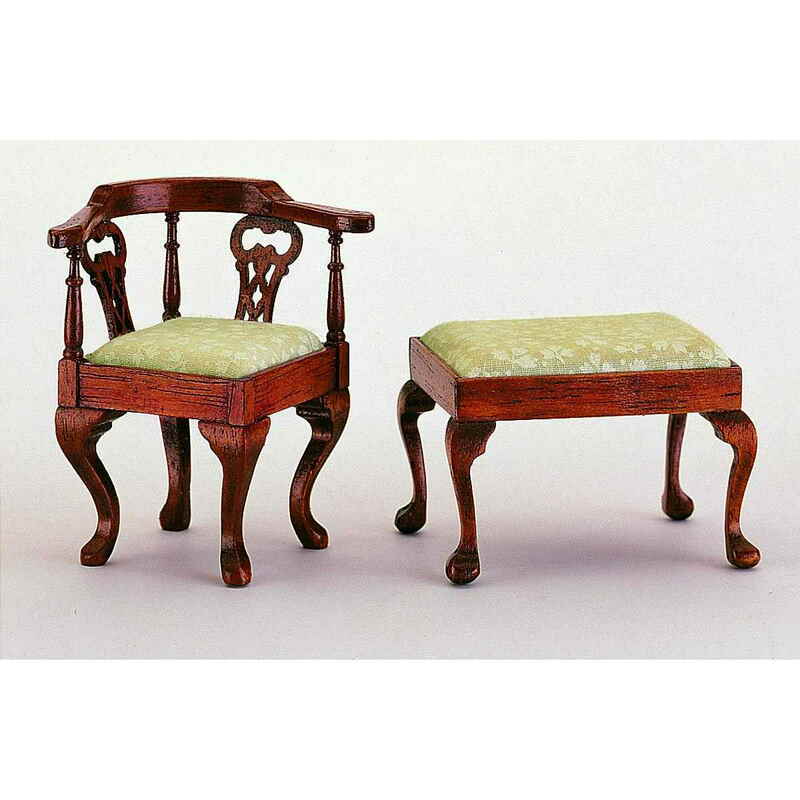 The matching Chippendale corner chair shown in the second photo can be found under item no. 40037.